John Lichfield’s article in the Independent back in January, about Stéphane Hessel’s book Indignez-Vous, is way off the mark. He dismisses it as poorly written, repetitive, unoriginal, simplistic, and frustratingly short. Although the book broke publishing records in France, he does not believe it will do as well in the rest of Europe. Well I have news for him. In France, the book now tops 1.5 million; in Germany, it has sold 150,000 copies in two weeks; and in Spain 50,000 copies in its first five days of publication. In Italy, it is a runaway success, and indications are that it will do as well as the German and Spanish editions. It simply goes to prove that Mr Lichfield’s judgement is as poor as his analysis of the book. I tire of these so-called pundits, who believe they know it all. I agree with Sir Max Hastings and his article in today’s Daily Mail that says, had Prince Andrew been smacked on his bottom as a child, things would have been different. 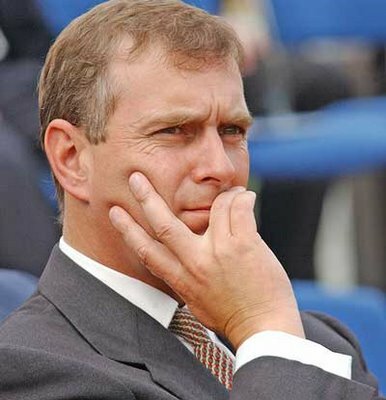 My views on Prince Andrew and his ex-wife, the accident prone Fergie, are perhaps less kind and indulgent than those of Hastings – because I strongly believe young royals have been pampered by the State to such an extent that any criticism of them falls on deaf ears and is ultimately ignored. 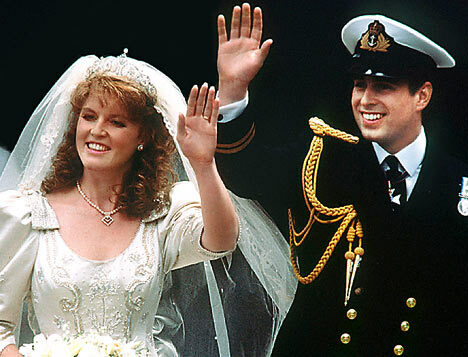 This time round, however, Prince Andrew should be relieved of his post and made to earn his living like the rest of us. He is no doubt hampered by the fact that his elder brother Prince Charles is by no means a role model and in his own way more spoilt than any of the royals. Unless something is done to curb their excesses the future of the monarchy remains in danger. 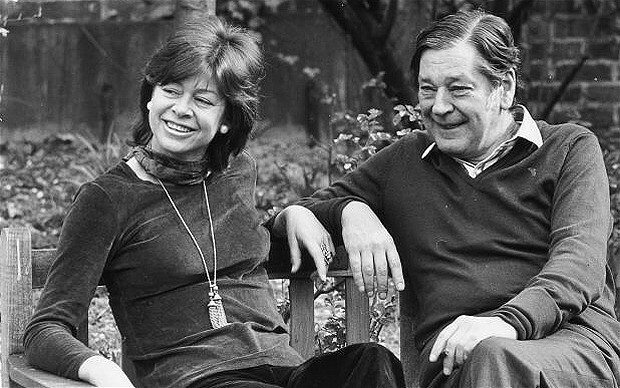 Early in 1994 I interviewed Susan Crosland, the widow of the politican Tony Crosland, who sadly died last weekend. The interview was never published as Susan, through her friends, asked me not to. She thought it was too intrusive and personal. Because of my own friendhsip with her at the time, I agreed not to while she was still alive. Now that she is no longer with us, I believe the interview deserves to be published for posterity’s sake – and for the insight it gives into Susan as a remarkable human being. One Sunday in February 1977 Tony Crosland, Foreign Secretary and leading ideologue of the Labour Party, returned from a morning stroll round the village of Adderbury, his Oxfordshire retreat, and over coffee with his wife Susan suffered a massive brain haemorrhage from which he never recovered. A week later he was dead. The day before the Croslands had celebrated thirteen years of marriage. Susan Crosland, an attractive and sensual woman, is something of an enigma. She is an accomplished interviewer, full of insights and keen percipience. Her in-depth profiles of Melina Mercouri, Nancy Reagan, King Juan Carlos, Henry Kissinger and many others including Tory ministers of the seventies became prototypes of the analytic approach to interview. The addition of a good measure of feminine intuition made the dissection more human, also more humane. When the roles are reversed, however, Susan Crosland’s poise and self-assurance seem to desert her. At first the halting sentences suggest a woman who does not know herself, who has never before considered the questions put to her. But as the interview proceeds her lack of articulacy reveals a nervousness and vulnerability which are at once puzzling and strangely moving. For this is a woman who does know herself; she has clearly experienced the extremes of joy and grief. The hesitation in the voice makes it seem as if she is unsure of her ground, but in fact it acts as a protecting veil. Only now and again is there a telling turn of phrase, a sudden revelation which slips out unbidden. She wrote her biography of Tony Crosland during her five years of self-imposed social exile following his death. It is part political memoir, part love story, but it too belongs to the impressionist school of art. It is also a highly personal account of life with Tony, yet the details are sometimes sketchy and the significance of certain events and remarks is left hanging in the air for readers to make of them what they will. Her graduation from college, her meeting and subsequent marriage to Patrick Catling (special permission was needed for their church wedding because he had been divorced), the birth of their two daughters, the development of difficulties in the marriage – all this and more is dealt with in less than half a page. In 1956 when Patrick was assigned for two years to the London office of his Baltimore newspaper their marriage was ‘very rocky indeed, but neither of us wanted a divorce and I didn’t dream of a life outside my marriage’. Was this because divorce was unthinkable? Or because she had made her bed? ‘Well, there were two young children … and I loved Patrick, and he loved me.’ Shortly afterwards she met Tony Crosland at a cocktail party; the fires were kindled and life was set to change. She was attracted to his raffish good looks, his sense of humour, his self-mockery, his unpredictability and what she calls his smoothness. ‘Tony could be smooth, but he wasn’t a smoothie. There’s a narcissism in smoothies which was absent in Tony.’ She was also captivated by his intellect and his vision of socialism, though their friendship seems rapidly to have gone beyond the stage of platonic political discussion. In her book she describes how one afternoon in 1957 Tony announced that he was ‘putting promiscuity aside’ until she left England. I asked her how she had interpreted that remark. ‘As a declaration of love, and also an awareness that this was – as we then believed – something which would end when Patrick and I left London.’ By then she and Tony were obviously lovers, but it is never explicitly stated. By 1958 the Catlings were unexpectedly back in London, this time to make it their home. In the spring of 1960 ‘after long, sad indecision’ they embarked on a trial separation. The following day Susan dyed her hair pink – ‘not then a commonplace hue’ – and contemplated the future. In due course Patrick asked for a divorce. But if she knew about it and accepted it before, what difference would it make after marriage? ‘I haven’t said this before, and it isn’t perhaps always evident to others, but I have a very highly developed moral sense of what is proper.’ Here she seems to be repeating the contradiction in her upbringing which combined a kind of Victorian strictness with a dimension of women’s liberation. Her father was a Pulitzer prize-winning defence correspondent with a strong Puritan ethic, her mother was in some ways a typical southern belle, but she too had been a reporter and in her young days had flown in a tiny aeroplane scattering leaflets over Baltimore exhorting women to vote. The marriage went ahead in 1964 although ‘escape hatches were constructed in advance’. She writes in the biography: ‘We’d assumed there would be a certain asymmetry in the marriage, that he would once in a while benefit from an “adventure” without any disadvantage for anyone else,’ but in the event life with Susan appears to have been adventurous enough and the escape clauses were never implemented. Over the years the storms abated and they grew to hate rows. It was Tony’s firm belief that ‘the pleasure of reconciliation isn’t worth the misery that precedes it’. Susan came to believe it too; life with Tony was ‘a tremendous growing-up process’. Susan Crosland has now carved herself a very successful career as a novelist. Her transatlantic tales of passion and intrigue have attracted much attention as romans à clef (her latest book Magnates is widely thought to be based on the lives of Peter Jay, former ambassador to Washington, and his ex-wife Margaret), which she feels has detracted from their literary merits. Victoria Mather, however, in the Literary Review compares her to Dominick Dunne and says Crosland is ‘today’s airport novelist’. My final question is whether it is always going to seem as if she will never again be as happy and fulfilled as during her life with Tony. She prevaricates and says that life is made up of several losses. She then tells a long story about her much loved Baltimore cousin with whom she shared the excitement and recklessness of youth. He shot himself – perhaps by accident, but probably not – and it seems that a part of Susan died with him. ‘I thought that loss would dominate the rest of my life. It didn’t.’ Then there was her father’s death which seemed ‘the most terrible thing’. She then discourses on finality which she says is what ‘wipes you out’. Tony’s death was ‘the ultimate finality, the intensity of which I have been able to measure only in hindsight’. She has answered my question, and part of the enigma is solved.